Q3 student apartments are perfectly designed to give you that mix of your own space and communal areas so you can spend time with your friends or make new ones, and they’re close to the University of Manchester. Q3 is a development of high-quality student accommodation close to Manchester’s top quality universities. Whether you’re looking for a studio of your own or a room in a shared apartment, Q3 is the place for you. It feels more like a home, with extras such as FREE WIFI in every room, your TV licence and en-suites to all rooms included as standard. Give the friendly team a call today to arrange to see how Q3 could be the perfect choice for when you’re studying in Manchester. Q3 is a home-from-home, perfectly designed with all of the facilities to make your life at university safe, comfortable and enjoyable. 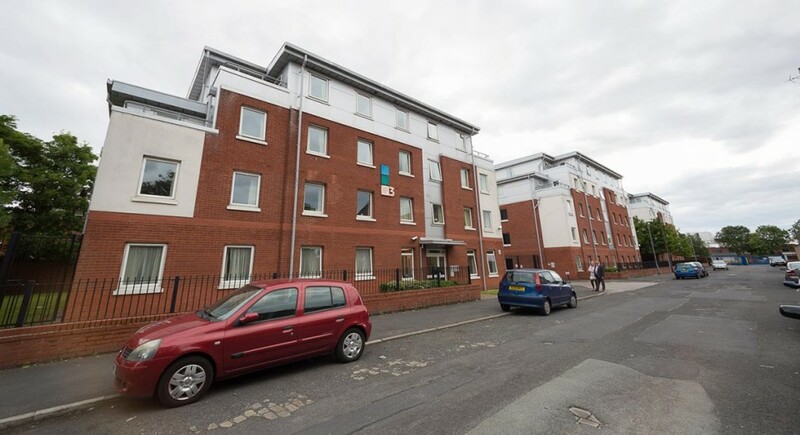 Centrally located close to Manchester city centre, this modern student accommodation features a mixture of studios and shared 3, 4 and 5 bedroom apartments, so you can choose to live totally in your own place, or have your own space but share a living area and kitchen with others. Even if you choose a studio, Q3 is geared up for making sure you meet people. 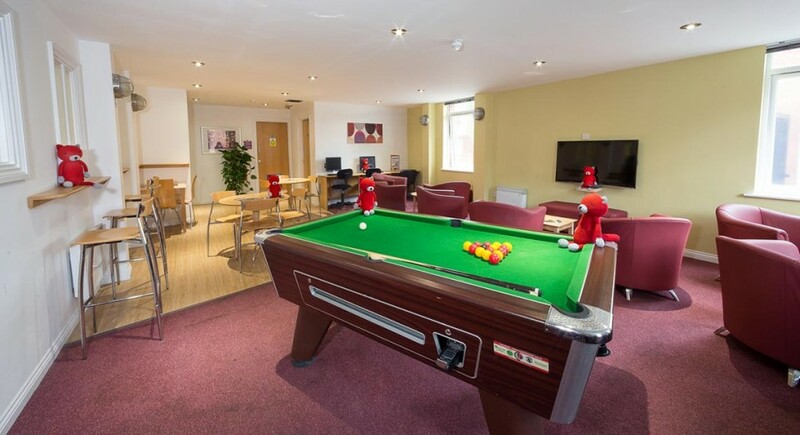 Our communal areas feature a pool table, TV and Xbox, so there’s an easy way to make friends and socialise. We’ve got the basics taken care of too – fully furnished rooms with three-quarter or double beds, your own bathroom, a desk, free WIFi and a TV point in every bedroom, integrated appliances in the kitchen, a launderette on site, and utilities and a TV licence included in your rent. We even provide a vacuum cleaner! The Q3 development has plenty of outside space, cycle storage and a 24/7 on-site team to help with any issues and make sure you feel safe. The team will sign for parcels and store them until you can collect, making it easy to pick up that package from home. If you want to live in a shared apartment but have a bit more of your own space, why not consider one of our superior studios? 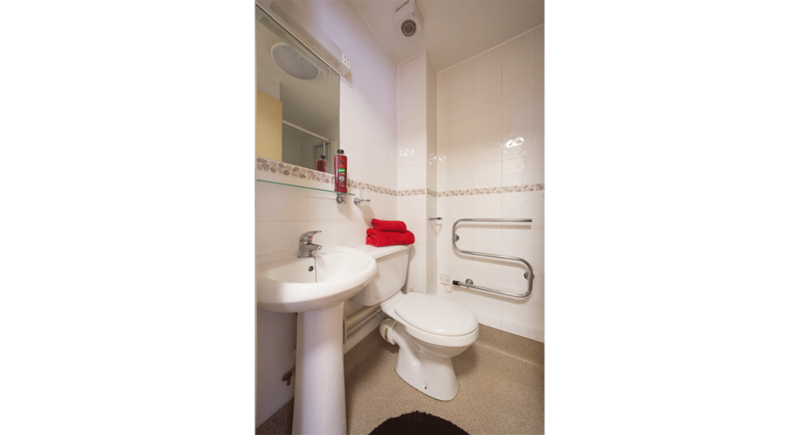 You’ll have a bedroom, en-suite bathroom, kitchenette (in addition to the apartment’s kitchen) and your own outdoor terrace. You’ll be just a short stroll from the University of Manchester and Manchester Met’s Business School, plus there’s nightlife, a beautiful park and the practical stuff like supermarkets all on your doorstep too. If this sounds like what’s you’re looking for from your all-inclusive student accommodation, give us a call for more information. 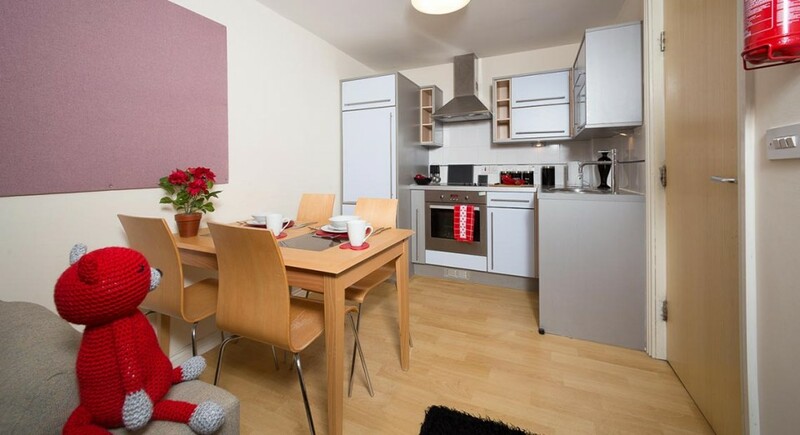 If you’re looking for high-quality student accommodation in Manchester, Q3 is an obvious choice. 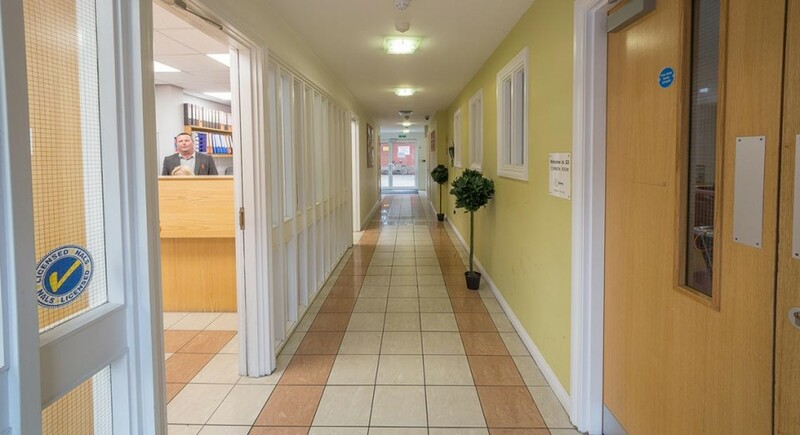 We’ve thought of everything to ensure your stay away from home is comfortable and safe, while being just a few minutes’ walk from Manchester’s top-quality universities. Free WiFi in your bedroom – so you can stay connected with friends and family and easily do your university work. Fully-fitted kitchens – including a dishwasher and microwave for convenience. Your own en-suite shower room. A double or three-quarter bed for extra comfort. 24/7 security – you’ll feel safe, and there’s always someone on hand to help. 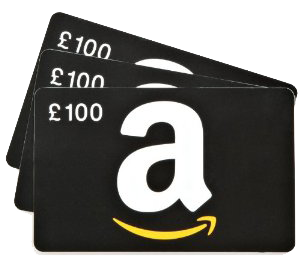 Utility bills and TV licence included in the price – that’s one less bill to pay at the end of the month. 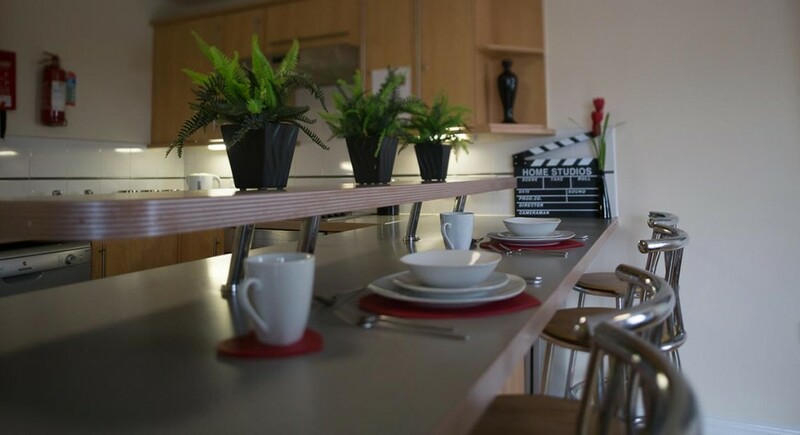 These high-quality Manchester student apartments offer the very best of facilities at very attractive prices (take a look at our prices page for more information). Living with friends isn’t a problem in our 3, 4 or 5-bedroom apartments. Or if you’re booking alone, whether you’re coming from the UK or from overseas, we’ll match you with others to make sure you quickly settle in. Studios are perfect for post-grads or those who prefer their own space. Give us a call to discuss your options. Early bird offers! Book before December 31st 2016 to avoid missing out!